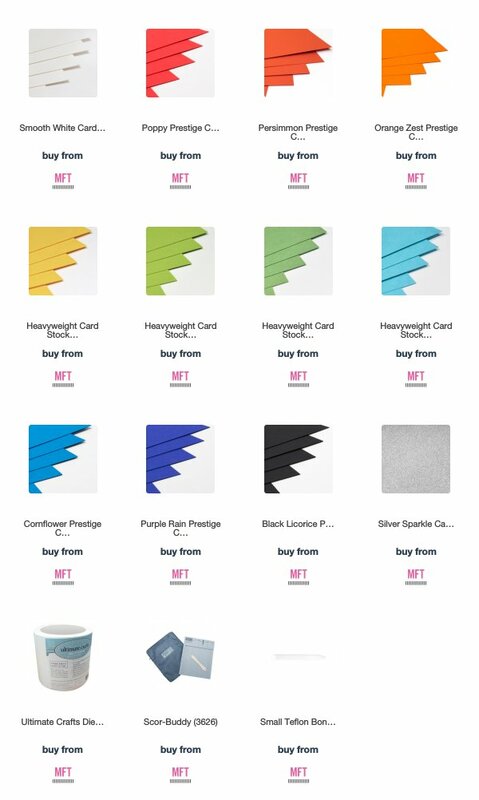 We've got an amazing card kit for you this month. It's full of color and lots of balloons! 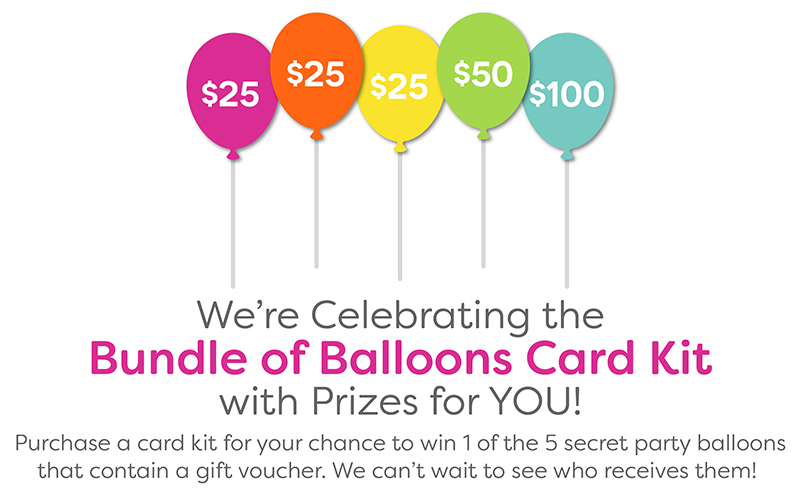 The Bundle of Balloons Kit will be available Tuesday, March 20 at pm EDT. I created a sweet and simple card today. 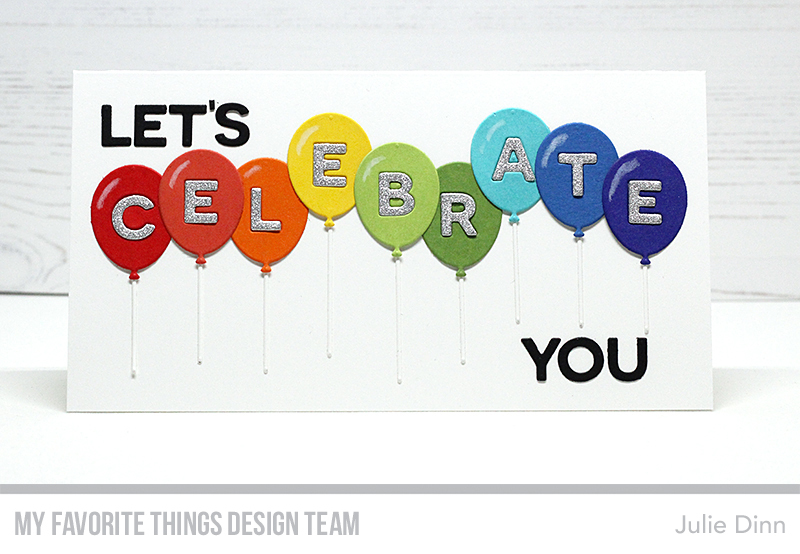 I used a rainbow of card stock from the kit to create the colorful balloons. I die-cut the strings in Smooth White and added a little white reflection on each of the balloons. As always, I added adhesive to my card stock before I die-cut the balloons and letters. Who doesn't love a fun rainbow birthday card? Brilliant Julie! I always love a rainbow card - so much fun. Great idea. We don't see many 9 in cards. Love it! Can't go wrong with the rainbow! Love the colors and this card! I just love this card! So colorful and fun. An easy but high-impact card. What could be better? I love this Kit!